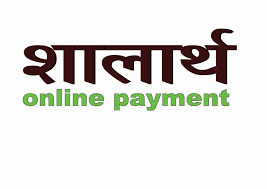 Shalarth is centralized web based portal used for processing payroll and Grant Aid Organization in Maharashtra. Shalarth is main component in IFMS (Integrated Finance Management System) used for data exchange with other important portals in Directorate of Accounts and Treasuries. It is very very important step for achieving paper less electronic payroll system like generating pay bill, electronic audit, electronic submission and processing of e-payslips for the employees. For more details you can watch shalarth video available at youtube.com/watch?v=JNSbWTtBVKg. 1) Kindly generate the salary without DCPS deduction for those still not received DCPS ID. 2) Process the bulk entry vouchers from Level 1 instead of Level 2 and Level 3. 3) To process the file from CMP need to update the bank details correctly in DDO like Employee and IFSC code for branches. 4) allow the pop ups while visiting shalarth.